In 1996, during the Altanta Olympics, a lone terrorist detonated a bomb that killed one person and injured 111. 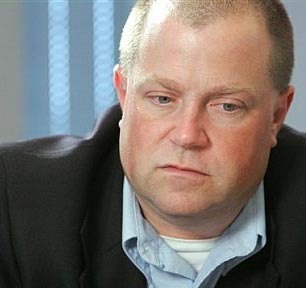 The man fingered by the FBI for that event, Richard Jewell, wasn’t only falsely accused, it turned out he was a hero. Security guard Richard Jewell discovered the bomb before detonation and cleared most of the spectators out of the park before it exploded. Roll forward 17 years and a Mississippi man is charged with sending ricin-laced letters to a Senator and President Obama only to be released on Tuesday of this week after the FBI failed to turn up evidence to support the charges. The FBI is looking into the possibility that Paul Kevin Curtis might have been framed as part of a grudge against him from someone in his neighborhood. James Everett Dutschke, said Wednesday that investigators tore his house apart during an hours-long search Tuesday. By Wednesday afternoon, they had turned their attention to his karate studio in Tupelo, Mississippi. The about-face comes after the FBI said they found no traces of ricin in his house. Agent Brandon Grant said that a search of Curtis’ vehicle and house in Corinth, Miss., on Friday did not turn up ricin or ingredients for the poison. A search of Curtis’ computers has found no evidence so far that he researched making ricin. Curtis’ lawyer said in court that someone may have framed Curtis, suggesting that a former co-worker with whom Curtis had an extended exchange of angry emails may have set him up. The FBI agent filling out charging documents, though, said there was “probable cause to believe” that Curtis broke federal law by sending the ricin-laced letters — those letters, intercepted in the wake of the Boston bombing attack, caused alarm in Washington last week as law enforcement scrambled to respond. Curtis, a sometime-Elvis impersonator who appeared in a Mississippi federal court Thursday and denied wrongdoing, has penned numerous rants accusing the government of hounding him. According to the charging documents, he posted a photo on his Facebook page April 12 with the quote: “To see a wrong and not expose it, is to become a silent partner to its continuance,” a quote which appeared in the ricin-laced letters. Given that things posted on Facebook are exactly private, it’s surprising the FBI would use the quote in the charging documents. The documents also said the FBI were told he has been investigated on several occasions since 2007. “In 2007, Curtis’ ex-wife reported to the Booneville Police Department that CURTIS was extremely delusional, anti-government, and felt the government was spying on him with drones,” the charging documents stated. Curtis was charged just a week ago with the specified charges carrying a maximum penalty of 15 years in prison and $500,000 in fines. The press was quick to pick up the FBI gauntlet, spreading the information claimed by Curtis’ ex-wife and others across all forms of media. 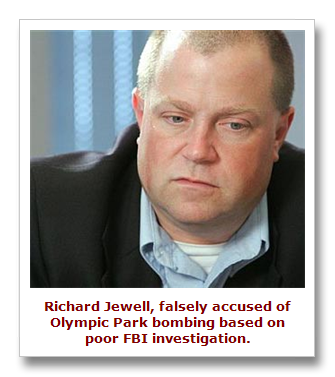 Much as Richard Jewell was scarred for life by the FBI claims made in Atlanta, it appears once again the media and FBI have spoken before having all the facts.